If you have had bariatric surgery, you have likely achieved many longstanding goals, including dramatic weight loss and a healthier lifestyle. Of course, along with those positives, you have probably also noticed excess skin and some resilient fat left behind. And that is where post-bariatric plastic surgery comes in, the goal being to remove sagging skin (face, neck, upper arms, breasts, abdomen, buttocks, and thighs) and restore attractive body contours and appealing proportions to match your new look and healthful lifestyle. Here, Dr. Richard Lee, one of the most experienced plastic surgeons in Newport Beach, helps you discover the benefits of post-bariatric plastic surgery. The dramatic weight loss that often occurs following bariatric surgery often leaves less-than-attractive sagging skin in multiple areas. Once your weight has stabilized (usually after at least six months), you can explore the benefits of post-bariatric plastic surgery. In many cases, the surgery includes multiple procedures and some scarring, which many people find an acceptable and attractive alternative to overhanging skin that makes clothes ill-fitting and self-esteem low. Before having post-bariatric plastic surgery you’ll want to be in good overall health, follow a nutritious diet and avoid smoking at all costs. You’ll also need patience and realistic expectations — the procedures take time and will not return you to the skin or body you may have had when you were a teenager. The first step is to sit down in consultation with your board certified plastic surgeon to discuss your desires and expectations. Your surgeon will suggest the needed procedures to achieve your goals and tell you the benefits of each procedure. 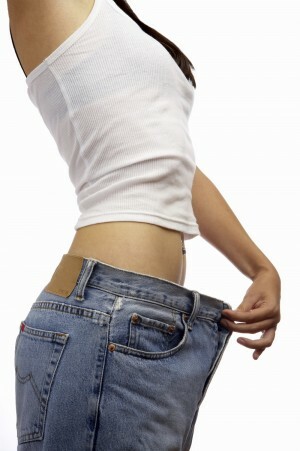 A procedure called panniculectomy removes the apron of skin (the pannus) that often results after major weight loss. This will improve not only your appearance but eliminate skin irritation that results from sagging skin. Belt lipectomy (lower body lift) reshapes the waist, abdomen, hips, buttocks, and thighs, removing loose skin and fatty tissue and allowing remaining tissues to smooth and stretch. Abdominoplasty (tummy tuck) removes excess skin and tightens the remaining skin over the abdominal muscles. Liposuction may be utilized with any of these procedures to remove remaining fat and improve your body’s contours. Mastopexy (breast lift) may be performed to lift the breasts and restore a more youthful appearance. Brachioplasty (upper arm lift) and thighplasty (thigh lift) remove excess skin and fat cells, delivering a pleasing contour to your upper arms and thighs, respectively. Your plastic surgeon will work to hide your incisions in body creases, keeping them as discreet as possible. The scars that remain will fade over time, and most patients feel their great results and overall appearance outweigh the appearance of scars. Barring significant weight gain, and taking into account natural aging, the results of your post-bariatric plastic surgery are, generally speaking, long-term — a beautiful and healthy result of all your accomplishments. To set up a complimentary personalized consultation regarding your post-bariatric plastic surgery, call Dr. Lee today at 949-548-9312.